My Equinox Alignment Set is here, just in time for the Vernal Equinox on March 20th! The Vernal Equinox, known within the Wiccan and Pagan traditions as Ostara, marks the time of year when the sun crosses the equator, making the length of day equal to the length of night. This day is one of only two magical times of the year where night and day are precisely balanced – the wheel of the year is symbolically sliced in half. We celebrate the Vernal Equinox to honor this precise balance of light and dark. As we welcome in spring’s energies of light, hope, fertility, growth, and new beginnings, we also recognize, and give thanks for, the solitude, self-reflection, and wisdom the darkness of winter so powerfully offered us. 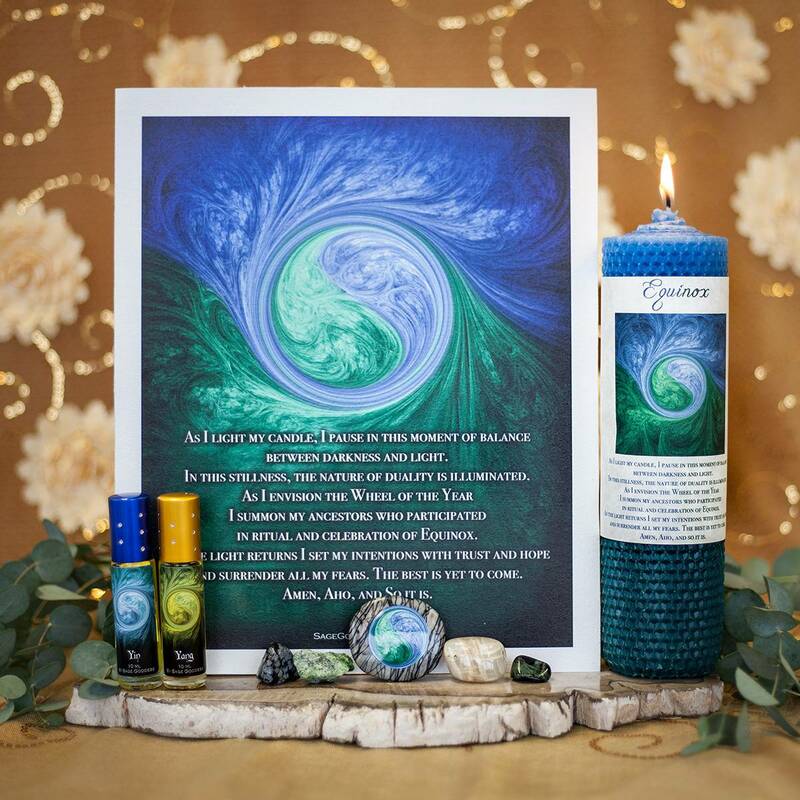 This Equinox Alignment Set will help you harness the sacred power of this moment of convergence, and will impart upon you the magic of nature’s grand lesson in duality. Use the tools of this set tools to cleanse, heal, and balance your spirit, and to regenerate within the extraordinary energy of Ostara. The tools of my Equinox Alignment Set One (1) Equinox rolled candle. This candle was lovingly hand-rolled right here at SG Headquarters, with wax in beautiful shades of blue and green. Each candle will include original SG artwork and an original blessing to aid you in your practice. One (1) 10ml bottle of my Yin Perfume. I created this blend to honor yin energy, which is associated with darkness and the feminine. Anoint yourself with this exquisite blend of stargazer lily, raspberry, and violet to evoke yin energy and to pay homage to the darkness of winter. This bottle of perfume will come infused with an obsidian chip stone, for added grounding and protective magic. One (1) 10ml bottle of my Yang Perfume. Yang is a blend of black amber, oak, and cocoa, and was created to honor yang energy, which is associated with light and the masculine. Use this potion to channel yin energy and to celebrate the coming light of spring. This bottle of perfume will come infused with a clear quartz chip stone, for amplified vibrations and Higher Realm connection. One (1) picasso jasper palm stone, printed with the yin yang symbol (about 2”). 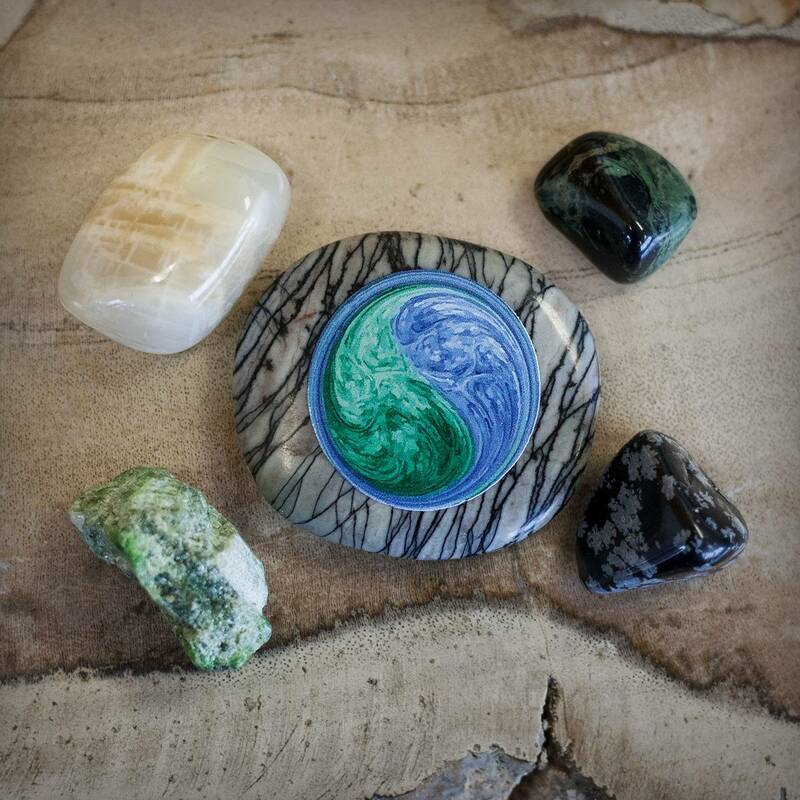 Picasso jasper is a stone of transformation and shadow integration. 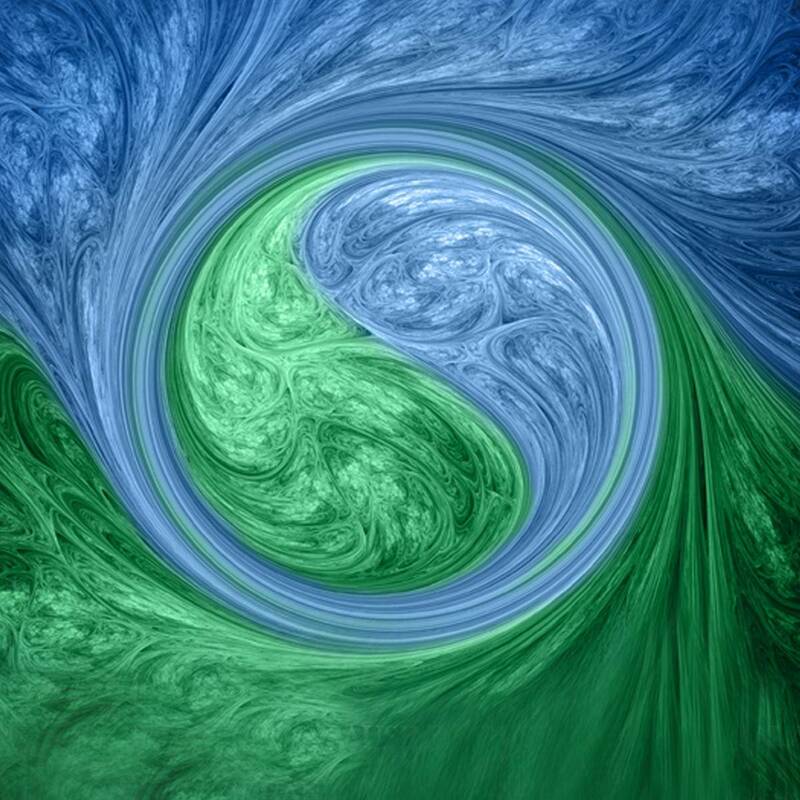 This gem will pull you to acknowledge the darker parts of your soul and integrate them into the light, so that you may live in harmony with the dual nature of your being. One (1) tumbled piece of diopside (about 1”). Diopside is a stone of healing, balance, and Earth connection. 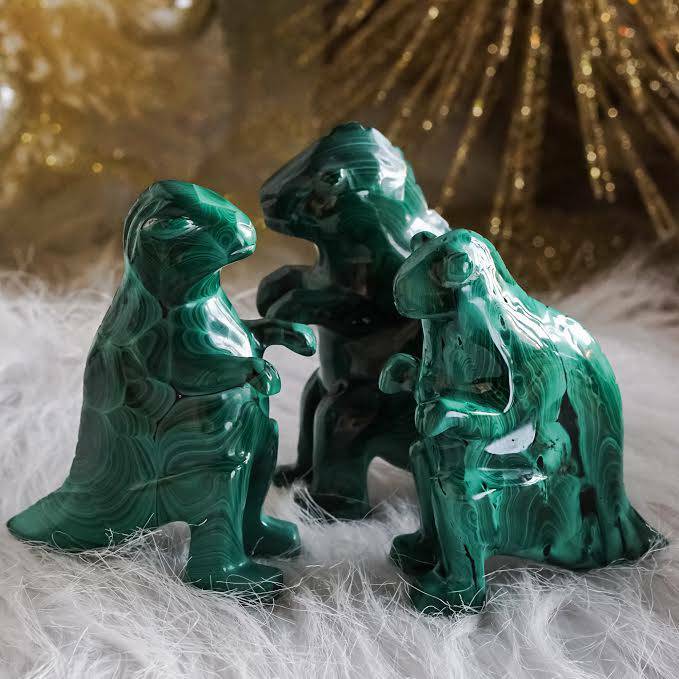 This magical gem will create a powerful tie between you and the natural world, and will lead you to integrate your spirit with the spirit of Mother Nature. This tumbled piece of diopside will serve as a powerful guide as you welcome the light, fertility, and abundant growth of spring. One (1) tumbled piece of moonstone (about 0.75”). 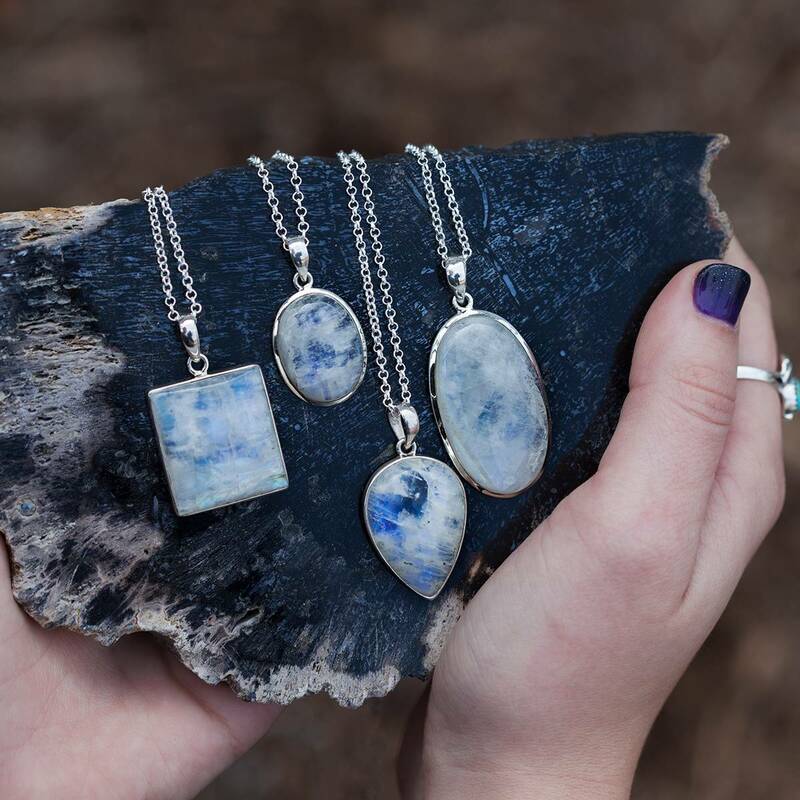 A stone of mystery, intuition, and feminine wisdom, moonstone evokes peace, insight, and patience. This gem will support you as you patiently await the blooms of spring, and will lead you on a powerful journey of self-discovery. One (1) tumbled piece of kambaba jasper (about 0.5”). 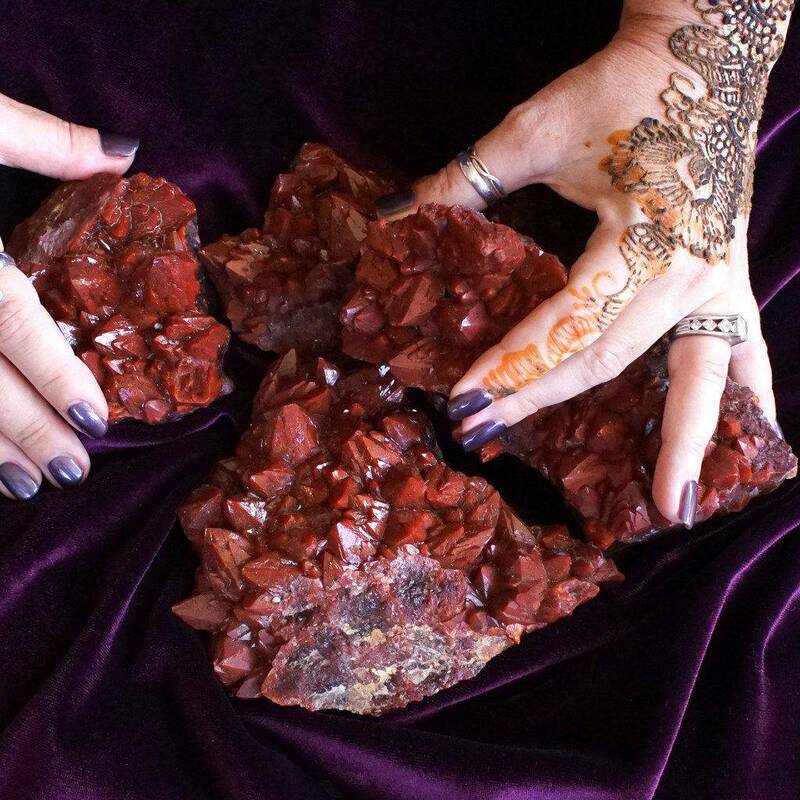 Deeply respected amongst shamans and energy workers, kambaba jasper holds a vibration that is ancient and medicinal. This gem protects, heals, grounds, soothes, and uplifts the heart and spirit. Kambaba jasper is connected to the Divine Masculine, making it a perfect balancing tool for those who work a great deal with feminine energy. One (1) piece of snowflake obsidian (about 1”). This stone is a potent tool for integrating the shadow and uncovering the hidden parts of the self. With its serene, pure nature, this gem brings beautiful balance to the mind, body, and spirit, and will be a lovely source of protection and grounding for you in the coming season. Lastly, you will receive one (1) gorgeous 8×10” canvas of original SG artwork. Place this canvas anywhere in your sacred space to harness the call in all of the incredible magic that the Vernal Equinox so powerfully offers us. Light is on its way, and the bounty of spring is calling. Note: Please remove label before burning candle, always use a heat proof dish on a stable surface, and never leave a burning candle unattended. This listing is for one (1) Equinox Alignment Set, as described above. You have the option of receiving the full set or receiving the set of stones only. Please choose your offering from the drop down menu above. Yours will arrive lovingly parceled along with a parchment describing the properties of the stones.